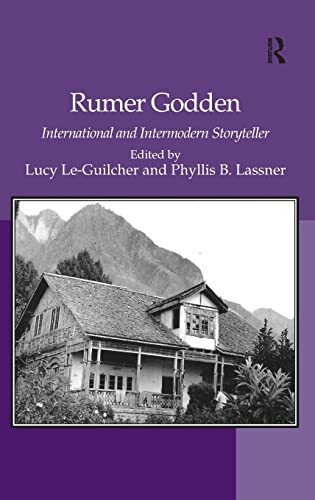 From 1929 to 1997, Rumer Godden published more than 60 books, including novels, biographies, children's books, and poetry; this is the first collection devoted to this important transnational writer. Focusing on Godden's writing from the 1930s onward, the contributors uncover the breadth and variety of the literary landscape on display in works such as Black Narcissus, The Lady and the Unicorn, A Fugue in Time, and The River. Often drawing on her own experiences living in India and Britain, Godden establishes a diverse narrative topography that allows her to engage with issues related to her own uncertain position as an author representing such nomadic Others as gypsies, or taking up the displacements brought about by international conflict. Recognizing that studies of the transnational must consider the condition of enforced and elected exile within the changing political and cultural borders of postcolonial nations, the contributors position Godden with respect to different and overlapping fields of inquiry: modern literary history; colonial, postcolonial, and transnational studies; inter-media studies; and children's literature. Taken together, the essays in this volume demonstrate the richness and variety of Godden's writing and render the myriad ways in which Godden is an important critical presence in mid-twentieth-century fiction. Lucy Le-Guilcher received her PhD from the University of Cambridge, where she wrote a thesis entitled Style and Women's Writing, 1940s and 1950s. In December 2007, she organized a centenary symposium on Rumer Godden, and has presented conference papers in Sydney and the UK. She is a regular reviewer for Women: A Cultural Review. Phyllis B. Lassner is Professor in the Crown Center for Jewish Studies, the Gender Studies, and Writing Programs at Northwestern University, USA. She is the author of two books on Elizabeth Bowen, British Women Writers of World War II, Colonial Strangers, Anglo-Jewish Women Writing the Holocaust, and many articles on women writers. She serves as Co-President of The Space Between Society: Literature and Culture 1914-1945.